Ever wonder what to do with the cactus you see at the supermarket? How about some fries? We found these at The Cowboy Club in Sedona Arizona and they were kind enough to share their recipe. Now that's cowboy hospitality! To prepare the Prickly Pear Sauce, bring vinegar, Red Hot and soy sauce to a boil, then add slurry of corn starch and water. Add remaining Prickly Pear Sauce ingredients. Coat with buttermilk, let soak overnight. Drain off most of the buttermilk. Coat cactus in seasoned flour. 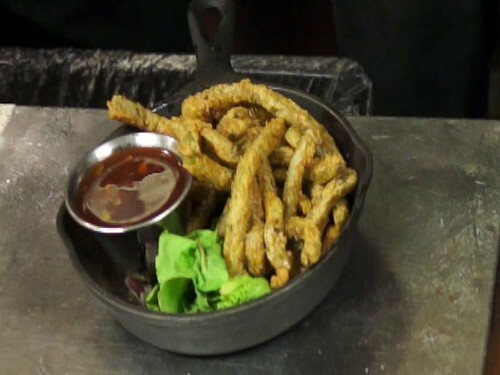 Cook in a fry basket for 3 minutes at 325 degrees or until crispy. Big thank you to The Cowboy Club in uptown Sedona, AZ. 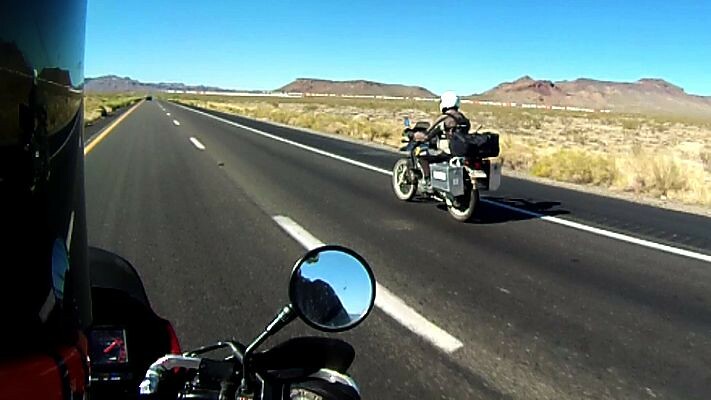 This was our longest day ever on the KLRs: 537 miles. After a late start, we were able to make it to Sedona by sunset. We were unnecessarily worried about running out of gas on the way to Bakersfield a few days ago, but today, we were caught off guard by a low tank thanks to AZ freeway speeds (75mph), and an uphill climb to 7000 feet. Despite having a 6 gallon tank, we hit our reserve tank after only about 160 miles, even though we’re used to reaching 220+ before hitting reserve. At least it’s good to learn the limits of the bikes here in the States! We doubt we’ll have a day as long or as fast as today for quite a while.